The three of us are avid sports fans, especially when it comes to soccer. We follow our teams on a weekly basis, which includes watching matches on TV, following social media feeds, and having heated debates with friends, among other things. We've come to notice over time that every fan has an opinion, and these opinions -- however diverse or unorthodox -- are important. However, there is no structured way of gathering fans' opinions and hearing them out. One can listen to fans on the internet, read through their Twitter feed, and so on: but there is no place that can objectively tell you, "This is what the fans want." 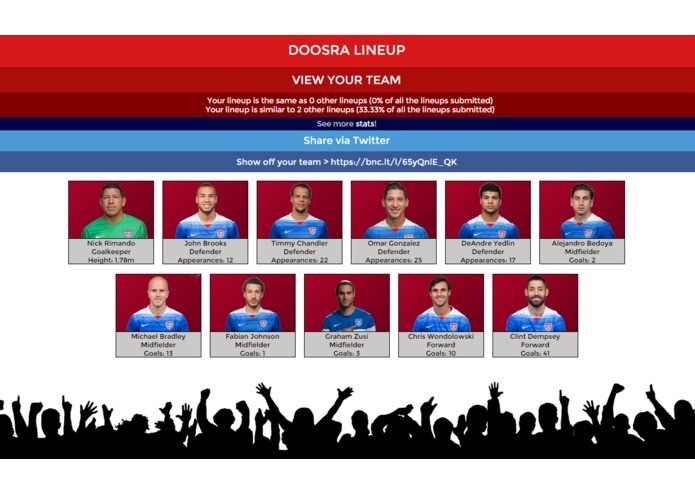 That is why we came up with Doosra Lineup ('Doosra' means 'Second' or 'Alternate' in Hindi) -- a platform that allows fans of sports teams to pick their own lineups, as though they themselves are the team's managers. It aggregates the fans' opinions in an objective manner, and presents the collected data through simple, yet effective visualizations: something that is impossible to do when there is no singular platform available for the fans to express themselves. We started off by building a cricket-based version of this at our local AngelHack hackathon (AngelHack Delhi) just a couple of weeks ago. For this challenge, we manipulated it to add support for soccer (specifically, the US Men's National Team) -- a sport that more people would be able to relate to. We also added the Share to Twitter feature using Twitter Web Intents. 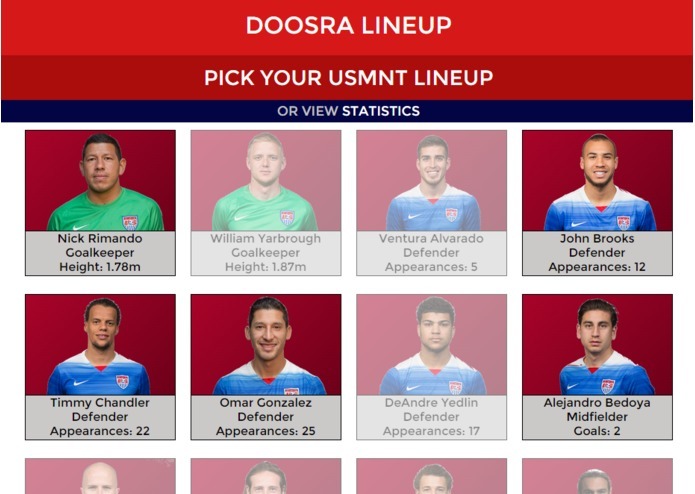 When you go to our website, you will be shown a screen with the 15 members of the United States Men's National Team (USMNT) that have been picked to play the CONCACAF Gold Cup, which starts in a couple of days (the team plays its first match on July 7th). Now, this is the squad -- but who would you, as a fan, like to see make the actual 11-man lineup for the USMNT in the Gold Cup? Just pick your 11 out of the 15, and hit Submit! How many other submissions are the same as yours? If you click on the 'See more stats' link, you'll see general statistics about all the submissions so far. The most important one: which is the most popular lineup among fans? 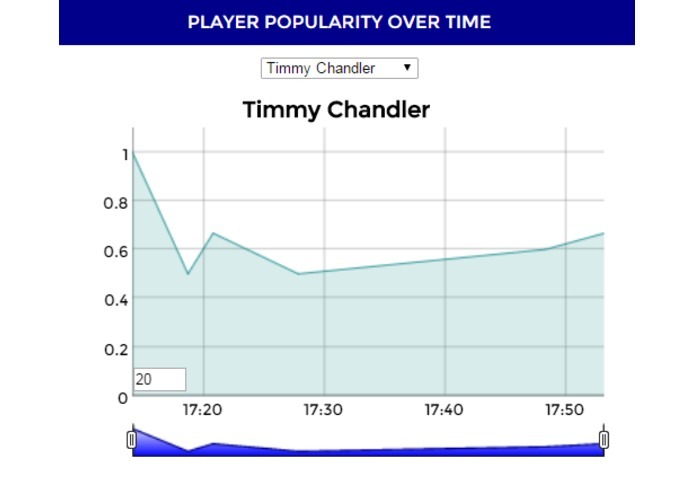 You'll also see charts of how popular the different players have been over time. This could yield interesting trends over time -- for example, over a few days, one might be able to see how poor or excellent performances affect the fans' perception of a player. We're in the process of integrating location-based stats: we can then see the popularity of players on a heat map. Which part of the country wants which player to play more? Perhaps most importantly, we've used Twitter Web Intents and Branch Metrics short links to help users share their submissions with others, and start discussions within the community. Charting and displaying the stats was definitely the biggest challenge that we ran into. Finding a good library that could chart our data and scale our results as more data came in was integral. 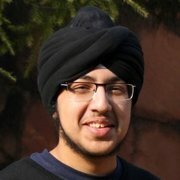 Integrating sharing effectively using Branch.io (to generate a short link) and Twitter was another challenge. 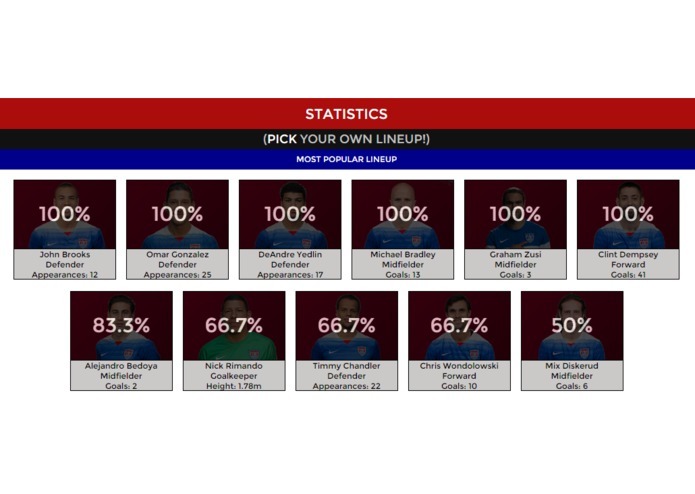 Gathering data about the players was pretty tedious (especially pictures) -- we're exploring options that could automate this process if we are to scale up to more teams. 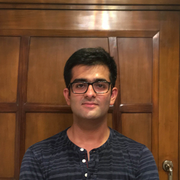 The fact that we came up with the preliminary version of Doosra Lineup at a 24-hour hackathon! And that the architecture is quite scalable, if we do decide to include more teams. We learned (the hard way) about how tough it is to get websites to be responsive. The current version is okay, but it isn't perfect on mobile devices. Ensuring that the user's input is valid is a pain, yet very necessary. Designing something that would allow teams to be crowdsourced i.e. anyone can create their own team and set up their little poll on Doosra Lineup. This would definitely help us reach other sports, and other levels of competition. More error-checking: for example, you shouldn't be able to select two goalkeepers!